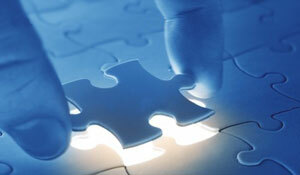 Custom Software and Systems Integration. If you have ever wanted a computer program that could do something differently, faster, more simplified, more customised than the pre-packaged, generic offerings then you have wanted custom software. Custom software is any computer program specifically written for an application and can range from a small application that helps your company manage some data or workload to a national, multi-user, integrated system that forms the foundation of a company's total infrastructure. Say you have a requirement for a custom application. Imagine you require the application to pull data from an existing database and provide that data as a service to another application such as a website or POS system. Systems integration is where your custom application needs to integrate with your existing systems and do so in a way that produces the least amount of interfearence with your existing infrastructure. If you have a specific requirement and have thought about custom software or have considered that there must be a different and better way to do 'that' job, then please contact us to arrange a consultation. We can help you develop and implement a solution that better suits your business. quintSoft has over 10 years experience designing, implementing and managing corporate software and infrastructure. We specialise in helping our clients visualise and achieve their goals by clearly understanding their needs and working closely with them to develop all aspects of the solution from the usability and interface to the back end and physical infrastructure required. We are a unique and specialised IT company that thrives on making the impossible possible. Our broad exposure and growing list of industry contacts means we can work with you to provide a complete solution for your project.